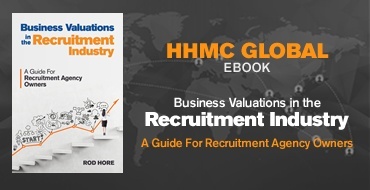 In this changing era of recruitment industry we are delighted to provide our e-book “Business Valuations in the Recruitment Industry – A Guide for Recruitment Agency Owners”. This book introduces a model to explain different business characteristics, and offers current valuation metrics for the industry.It also provides valuable insights to the recruitment agency owners and managers. We thank you for your interest in the eBook – to access it please complete the form and click Download.